Inequality is the root of social evil – Pope Francis Via twitter feed. His Holiness has moved us with his message of inclusion, especially for the poor, the marginalized and the outcast….His message of love and inclusion, his regard for ‘the least of these,’ distills the essence of Jesus’ teachings and is a tonic for a cynical age. May we heed his humble example. 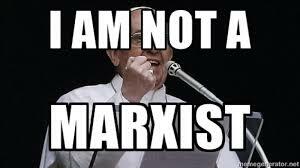 Bergoglio has said and done nothing. Why?? 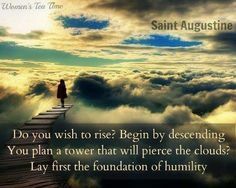 Where is the humility in the Catholic clergy today?? (The Media Report) – Last year, the reporting from the New Jersey Star-Ledger about Newark Archbishop John J. Myers and his handling of decades-old abuse cases was so bad that the paper was forced toissue a correction and admit to its numerous errors. Now, after the paper’s attempt to oust the Catholic bishop failed, the paper is desperately trying to roil up anger over renovation work at a residence in which Myers will eventually live during his upcoming retirement in 2016. The Archdiocese will pay real estate taxes on the property. Some take issue with the expenses of the project at a time when the Archdiocese has decided to close some of its schools. However, while $145 million has been poured into Archdiocesan schools over the past decade, enrollment has also dropped nearly 45% in Catholic schools in Newark in the past 15 years. Thus low enrollment has made the closure of four schools not only necessary but simply inevitable. In a recent article, the Star-Ledger claims that “22,000” signatures have supposedly been collected in a petition demanding that the Archdiocese sell the disputed property. Related see my post here – APRIL 15, 2014 Archbishop Myers, you don’t need a 7,500-square-foot house for your retirement!!! A key point that’s been lost in the communion debate. The discussion about marriage within Catholic circles has been heating up recently, more than usual. This time it’s not about contraception or homosexual ‘marriage’, but about divorce and remarriage. In the last few months, there were statements made by Cardinal Kasper, a group ofGerman Bishops, but then also many rebuttals such as Cardinal Raymond Burke and Dr. Ed Peters. For a review, read John V. Gerard’s article fromAleteia. Now, to add to the confusion and debate, we have the Pope’s infamous phone call to the Argentinean woman about being allowed to receive communion while living as married to a divorcee. It is an important and complex debate. Many are on the edge of their seats, very anxious and impatient to see what will happen at the Synod in October. Some are applauding, while others are shaking their head in disbelief. 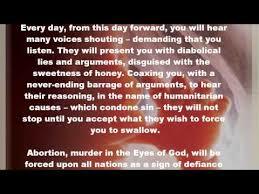 While all this has been ensuing, there is a deeper question that should be gnawing at our Catholic consciences. Almost every time a new opinion piece is written about the divorced and remarried receiving communion, there is a statement about divorce not being a prohibition to reception of the Eucharist, only remarriage is. This is likely to be even more central to the ensuing discussion about the claim that Pope Francis told the Argentinean woman that “A divorcee who takes communion is not doing anything wrong.” While, it is true that civil divorce, in and of itself, does not constitute a mortal sin, there is much more nuance to Church teaching that needs to be addressed. 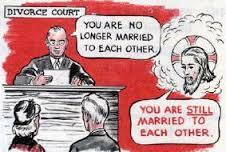 One problem in this discussion is that divorce and remarriage, without an annulment, is basically black and white. It is adultery and thus, if you have the understanding and have chosen it freely, a mortal sin. Divorce alone though, is a large area of grey. No one can judge another based on a decree of divorce alone. Does this mean that divorce is never a mortal sin though? The Church understands that in our human weakness, there are problems in marriage that are unlikely to be resolved. Married couples realize quickly that there are going to be many issues that arise in which neither will both be fully satisfied with the outcome. Marriage takes dying to self, loving even when it hurts, and a lot of compromise. Sometimes though, the differences are so great and harmful, that a separation is prudent for the sake of spiritual, physical, or psychological well-being. The Church allows for this when duly needed. If one is in immediate grave danger, they can separate from their spouse without prior permission from their Bishop (CIC 1153). Here still, permission must be sought to continue separation though (CIC 1151 §3), and the goal is always towards reconciliation of the marital union (CIC 1152;Familiaris Consortio, 83). When not in immediate danger, separation may be allowed, but the permission is to be sought beforehand. The same goal of reconciliation applies here as well. Even if reconciliation never happens, husband and wife are called to strive for it and to have hope, even when by worldly standards, all seems hopeless. Canon law allows for civil divorce too, but when it is the only means by which to gain civil protection for the children or financially (CCC 2383). Because marriage is also governed by the state, it might be that the only way to get proper custody for one’s children is via divorce proceedings. There are many circumstances where one spouse is obstinately making the protection of children difficult or is withholding financial assets from the other as punishment. These are considered entirely excusable reasons to seek the civil decree. The Pope from Poland just in Austria desired interface between East and West a place of theological, philosophical and social foundations of the family, recalled Schönborn. Why go to John Paul II and his belief that the future of the world depended on the family, the foundation of the International Theological Institute for Marriage and Family (ITI) in Trumau back. Did John Paul also “like every pope certainly not always done everything right,” he was nevertheless have been grateful for the open and honest communication also of unpleasant things. At his first audience as the new Archbishop of Vienna in 1995, he had the Pope “un the problems of the Church in Austria and among the bishops” announced, Schönborn recalled. “That’s it then probably with his benevolence, I thought to myself -., But three weeks later he invited me to give him the retreat” He had been very pleased with this latest mark of confidence, so the cardinal. In his column in the free newspaper “Today” (Friday) Schönborn went to the credibility of John Paul II: he was by many people as’ very credible Christian “was worshiped, whereupon the already loud become the funeral of the Pope in 2005” santo subito “calls were due for a rapid canonization. Even saints have had errors and committed sins, they are but it has not stood the Cardinal. Furthermore raised Schönborn – back in the “Sunday” – the humor and cheerfulness out that John Paul II had never lost despite his difficult life path. “One of my favorite memories of him is his peals of laughter as I once told him an anecdote about the Polish philosopher and Dominican Joseph Bochenski,” said the cardinal. About John XXIII. wrote Cardinal Schönborn, he must have been a “wonderful person” and have all a “papa buono” – want to be – a good father. The Archbishop of Vienna, reported experiences of a Protestant friend who opened while bathing on a concrete slab and was paraplegic admitted to hospital in Rome 1961 graduation trip in Italy. Its appeal to the Catholic hospital chaplains to host the Pope greetings was, in fact complied with: Pope’s secretary Monsignor Capovilla had been sent a total of four times by the pope as his representative to the hospital. John XXIII.had also received the parents of the affected person’s private audience and comforted them. 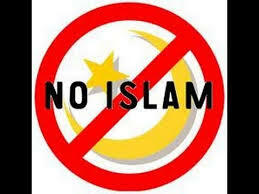 Muslims in Syria crucified two Christian teenagers for refusing to convert to Islam. The story was reported on a Croatian Catholic website. So you want to die as a teacher in whom you trust? Please choose: either to renounce ( faith ) or you will be crucified! One of them was crucified in front of his father, who was afterwards killed. The jihadists entered the city of Maaloula and started killing men, women, and children. They did not just kill, but played football with their heads. They took pregnant women, pulled out the babies from the womb and hung them from the tree umbilical cords. Aborted Babies Could Reduce Greenhouse Gases, Fight Climate Change!!! The alternative, the company points out, is depositing organic waste in landfills, where it will convert into methane and other hydrocarbons. Methane, which forms a three-dimensional, tetrahedral molecule, is a far more powerful greenhouse gas than carbon dioxide, trapping far more heat per unit volume than the carbon dioxide that results from controlled combustion in an environmentally sensitive energy facility. Other Covanta facilities provide formal carbon offsets to companies looking to reduce their impact on climate change. These facilities, both in Florida, generate “voluntary credits” that can be bought on the open market “by companies and organisations interested in voluntarily reducing greenhouse gases.” A compulsory cap-and-trade system, such as exists in California, could place new market value on incinerated medical waste, including fetuses. 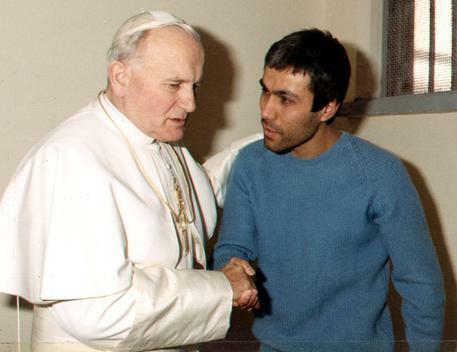 (ANSA) – Rome, April 24 – Pope John Paul II is not a saint, because only God can be considered holy and attempts to “deify a human being” are sinful, Ali Agca, the man who tried to assassinate the pope in 1981, said Thursday in an interview with ANSA. 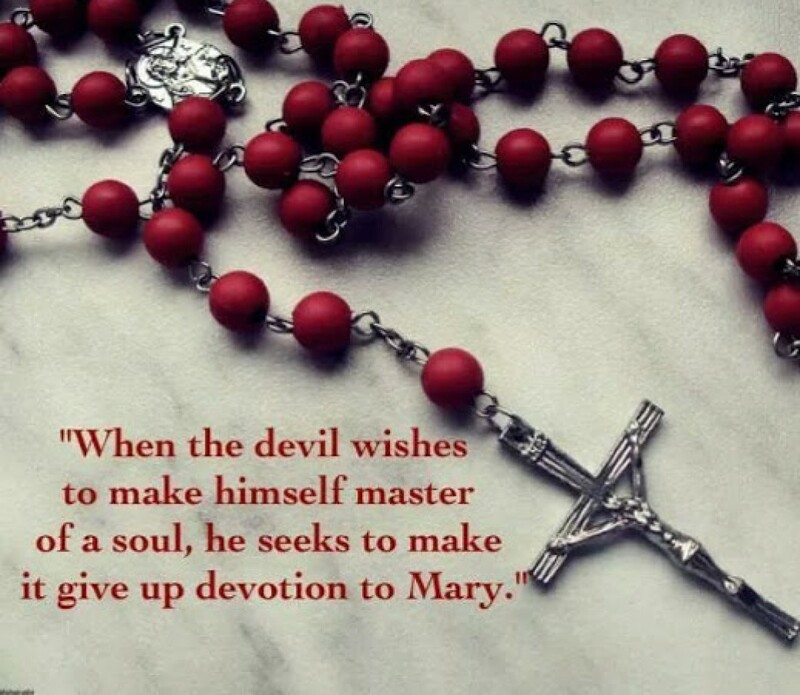 His comments come days before Sunday’s double canonization of Polish-born John Paul II, pontiff from 1978 until his death in 2005, and Italian John XXIII, who was pope from 1958 to 1963. Agca, who was released from jail in 2010, said that he “definitely wanted to kill” John Paul II so it’s a “miracle” the pontiff survived the St. Peter’s Square attack, which shocked the world. “I have seen with indisputable evidence that on May 13, 1981, God performed a miracle in St. Peter’s Square,” said Agca, who has claimed at various times that his attempted murder of the pontiff was ordered by Ayatollah Rhollah Khomeini of Iran and the Soviet-era Bulgarian Secret Police. The Turkish national added that he feels no remorse because his act was part of a “divine plan”. “There’s an immeasurable difference between a divine miracle such as my assassination attempt and a psychopathic, unjustifiable crime,” said Ali Agca. “I’m extremely happy to have been at the center of a divine plan that’s cost me 30 hellish years in solitary confinement”. After serving almost 20 years of a life sentence in prison in Italy, Agca was pardoned in 2000 and deported to Turkey. Following the extradition, he was imprisoned for the 1979 murder of a left-wing journalist in Turkey and for two bank robberies.